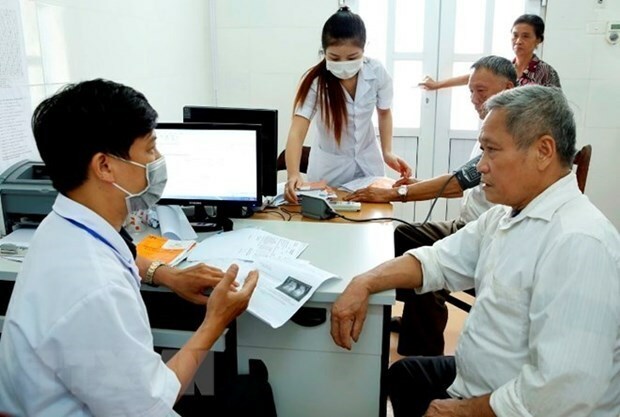 HCM City (VNA) – Developing grassroots healthcare to prevent non-infectious diseases is the top task of the health-population target programme for 2016-2020, according to Health Minister Nguyen Thi Kim Tien. She made the instruction at a conference in Ho Chi Minh City on April 16 to review the three-year implementation of the target programme. It was affirmed at the conference that under the programme, a wide-spread network of health care facilities has been built, contributing to the control of newly emerging diseases, the prevention of big epidemics, and the reduction in patient numbers and fatalities. Thanks to the programme, the country has maintained a vaccination rate of more than 95 percent for children under one year old and pregnant women. The malnutrition rate among children dropped to 13 percent in 2018 from 17.5 percent in 2010. The rate of HIV/AIDs in the community has been kept at 0.3 percent with fewer number of new infection cases. However, Minister Tien pointed to the increasing threat of non-infectious diseases such as cardiovascular diseases, diabetes and cancer as a new challenge for the programme. At the same time, financial resources for the programme, which rely on the State budget, are limited. The health insurance fund currently pays for only medical examination and treatment, and local administrations have not paid proper attention to the programme. The Health Minister stressed that the grassroots healthcare network serves as the “guard” in disease prevention, for both infectious and non-infectious diseases, and at the same time make it easier for people to access medical services.